This artistic liquor set is part of the Lily Art design collection. The set includes a flat glass tray that holds six matching liquor glasses. The tray has four side panes; two are masterfully color stained with burgundy coloring and designs, while the other two are transparent, one side has an appliqued style decoration of half of a ball and leaves, while the other side has a metal plate with the Hebrew words “Shabbat Kodesh”, Holy Shabbat. 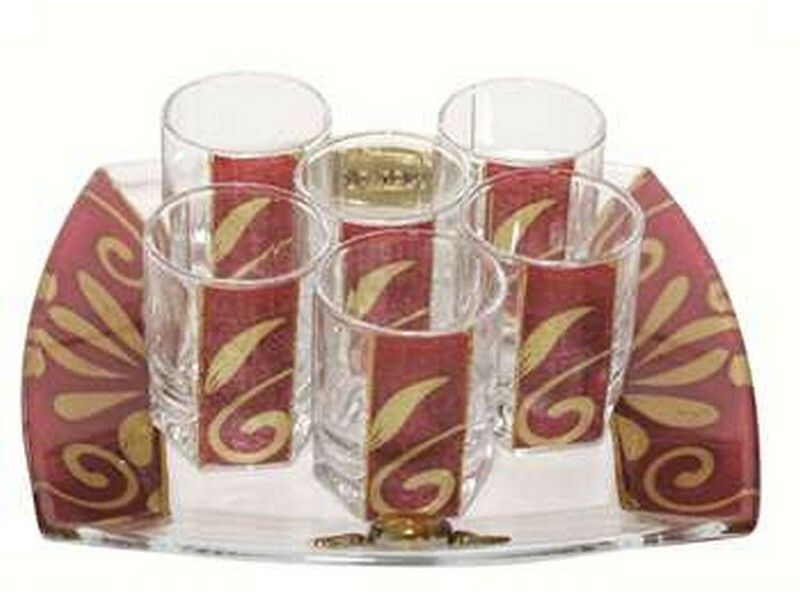 Each of the six glass liquor glasses has a matching burgundy color and design in a vertical section.